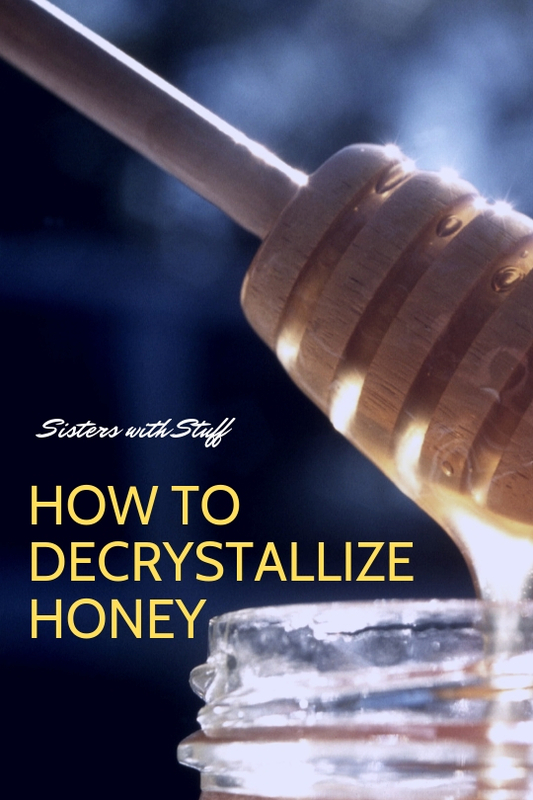 One of my biggest pet peeves is honey that has crystallized and hardened! It seems like it happens so quickly and honey is expensive right now. You can also try the microwave, it's much faster but you have to be very careful and heat it in short bursts, 15 seconds at at a time until it's the right consistency. Be careful if it's in a plastic container like this one, if you heat it too long it can melt the container and you can burn yourself badly. 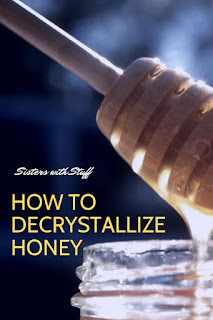 I've noticed the consistency is a little different when you heat it in the microwave and it goes back to it's crystallized state as soon as the heat is gone. Another tip I love: If you need to measure a spoonful of honey or syrup, dip a metal spoon in hot water first, the honey or syrup won't stick to it. How to soften brown sugar that has hardened!